Hemp State Highlight: Nevada enjoying sky-high prices, but can farmers' luck last? That’s almost 10 times what midgrade hemp flower is selling for in Colorado, and it’s prompting a super-heated hemp market. Can the good times last for this young market? Nevada growers are taking the gamble, adding acreage and processing equipment and hoping their luck doesn’t run out before hemp growers in states with better water supply and milder temperatures overtake them. “There’s huge demand, and we can’t keep up,” said Michael Whalen, who is growing 142 acres of hemp near Death Valley, where he gets less than 2 inches of rain a year but has a thriving operation thanks to a hemp cultivar native to arid Afghanistan. “You can’t import finished flower into Nevada, so even though we’re right by California, the demand is just insane,” said Whalen, who is president of the Nevada Hemp Association. But Nevada growers know every lucky streak comes to an end. They’re bracing for new entrants moving in from California, and they’re looking for new hemp uses in animal feed and industrial markets. Here’s what you need to know about the Nevada hemp market. Nevada has allowed hemp production only since 2016, so the industry is still in its infancy. Russell Wilhelm, industrial hemp program manager for the Nevada Department of Agriculture, says the state is working on issuing processing licenses and adding testing requirements patterned after states with more established hemp programs. The Wild West vibe of Nevada’s hemp market has scared off some traditional farmers, Wilhelm said, citing difficulties finding seeds that perform well in the desert state. “It takes some innovation to do well with hemp here,” Wilhelm said. 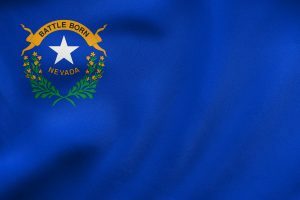 Nevada regulators appear to have a hands-off hemp approach, probably because they’re more focused on Nevada’s nascent recreational marijuana industry. Whalen says Nevada’s light touch has created a small but profitable hemp industry. As in other hemp states, flower varieties are by far the most profitable and therefore dominate hemp production. “The infrastructure for fiber in the U.S., it’s just not there yet. The reasonable growth is in flower,” said Adrienne Snow, business development manager for Western States Hemp, which produces hemp flower in Fallon, east of Reno. “A couple years ago, nobody knew what CBD was,” Snow added. “Now they can’t get enough of it. Western States Hemp plans to increase its hemp crop from 20 acres last year to 30 to 40 acres in 2018 – maybe more, because Snow and her business partner are fielding calls from marijuana entrepreneurs asking them to grow hemp flower under contract. “A lot of marijuana growers are migrating over to hemp because they see opportunity,” said Joe Frey, owner of Western States Hemp. The Nevada hemp industry is braced for an influx of competition and is already looking for new markets and opportunities. “I almost don’t want people to know about Nevada because it’s so great,” laughed Michael Ogburn, CEO of Corix Bioscience. Ogburn’s company is based in Irvine, California but grows hemp and extracts its CBD on about 150 acres near Carson City, Nevada. Corix hopes to plant 1,500 Nevada acres in hemp in 2018. That would make Corix one of the nation’s largest hemp growers. He predicts Nevada’s hemp industry won’t stay small for long, and Nevada growers are preparing by experimenting with new products and looking for other markets. Corix, for example, sells its CBD products to European businesses, not Nevada dispensaries that will likely see the kind of price competition currently pinching cannabis growers in more mature recreational marijuana markets. Western States Hemp is experimenting with hemp use in animal feed, collaborating with the University of Nevada, Reno on trials to see if hemp feed increases meat production. Western States is also baling hemp fiber, an easy move in a climate so dry that rot isn’t a worry. “We know that over time, the CBD market and the seed market will come down,” Frey said. Other hemp growers are experimenting with mixing hemp fiber with bentonite, a clay mineral abundant in Nevada and commonly used in pet litter and cosmetics. Whalen said growers want to see if bentonite can be blended with hemp fiber for a durable construction material. Nevada’s curious hemp growers are key to keeping the state’s industry profitable after the inevitable flood of competitors, Whalen said.